This is one of my favorite pics of him and I think it’s the only one so far that shows my face. 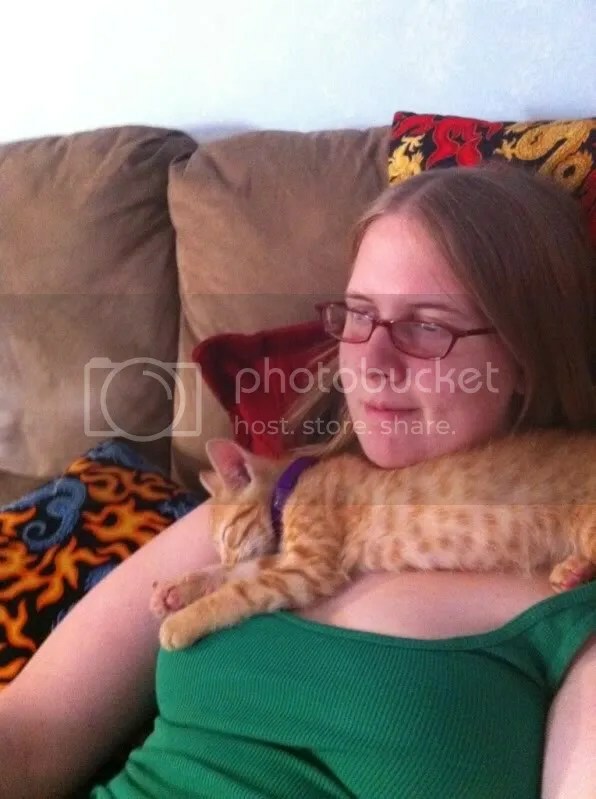 He does enjoy being a scarf kitten, and honestly I’m not gonna complain about it. It’s adorable and much more desirable than the alternative of him running around the house like a crackhead. He’s also getting bigger, though slowly. At the vet one month ago he was a little over 2 pounds. I’m hoping this Friday he’ll weigh in at about 3. Also, he’s taken a shine to the iPad, well all my Apple products actually. He likes playing the Friskies fishing game.